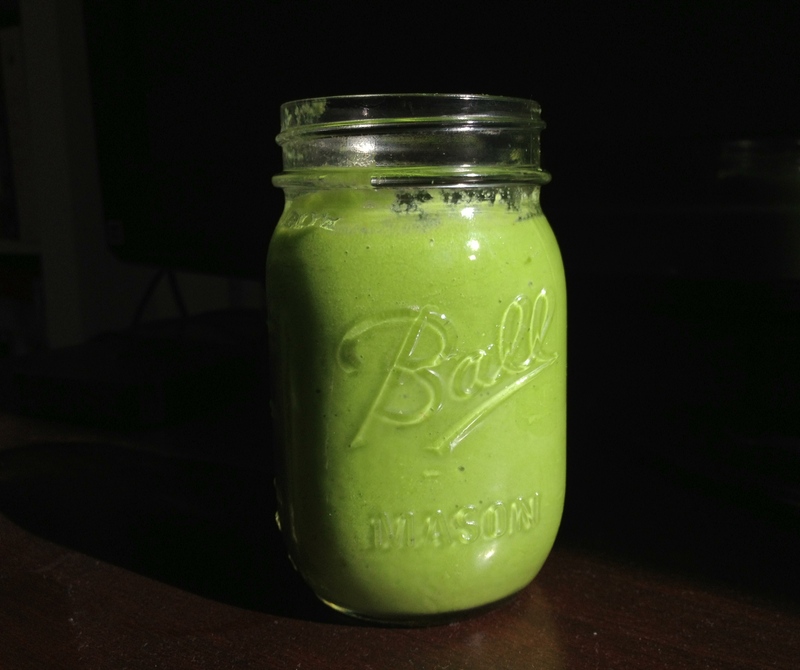 I’m really not a health nut, so originally the idea of a green smoothie was repulsive to me. Drinks should not be green (except for green tea)! That all changed when I got my amazing 750 series Vitamix. I’m not even going to tell you how much I paid for it, but just know that it was major dough, but totally worth it! It’s true what they say…a Vitamix will change your life. 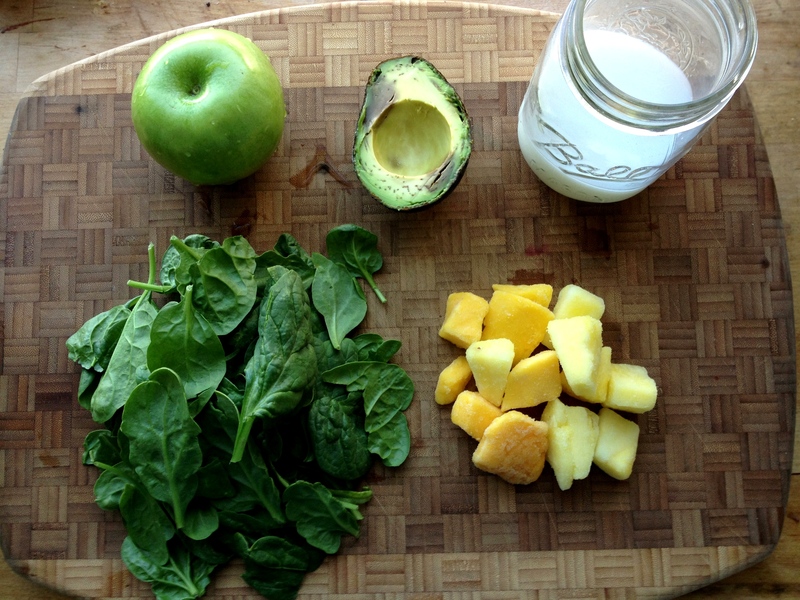 It’s a super powerful blender that makes everything taste good…including green smoothies and juices. Plus, the blades are so powerful that they break down the cell structure of the ingredients, which allows your body to absorb more of the nutrients. I definitely don’t get my daily dose of vitamins, so I like to start the morning off right with a smoothie packed with fruits and veggies. Here’s one of my favorites. Don’t let the bright green color put you off. I swear it’s delish. Even my fiance loves them and he was a hater at first! 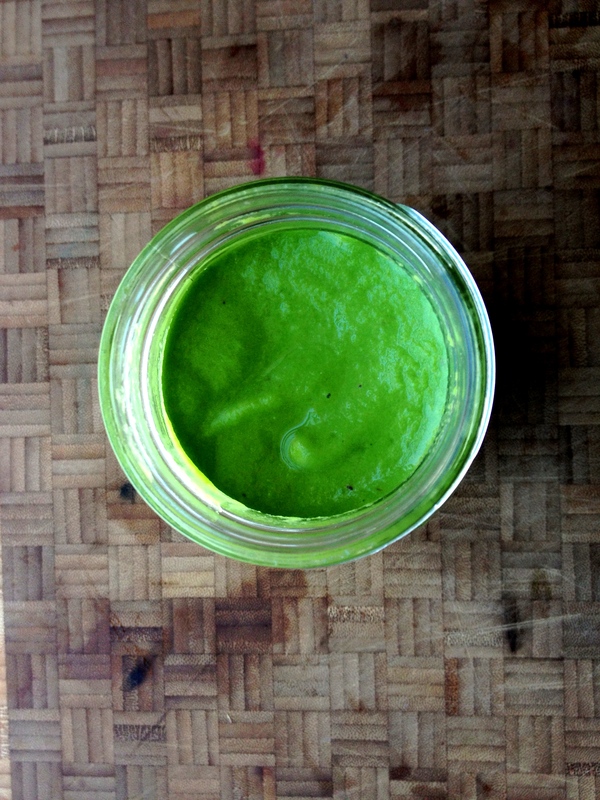 Throw everything into your Vitamix or blender and blend until smooth. Enjoy your Super Green Smoothie! NOTE: You can add more rice milk if you like a thinner consistency. —This post is dedicated to my friend Jamye who is dying to try to my green smoothie 🙂 Bottoms up! LMK what you think. This entry was posted in Food and tagged apple, avocado, green shake, green smoothie, healthy smoothie, rice milk, shake, spinach, vitamix by weninroam. Bookmark the permalink. I’m so excited to make it!! Yum! I’m going to add my Herbalife Formula 1 for extra protein!